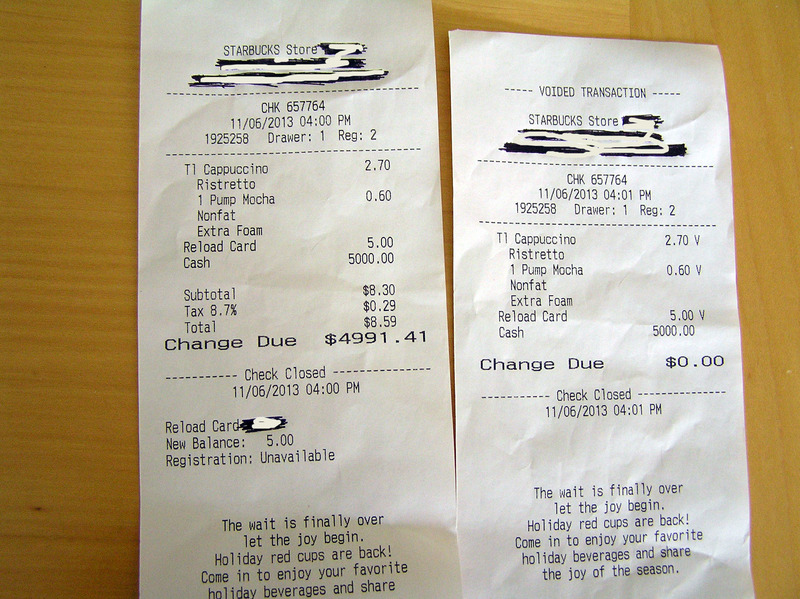 Starbucks owes me $4991.41. That’s right! At least for a few minutes they did. On a recent visit to a local Starbucks, I discovered my gold card was drained dry. I promptly handed the girl at the register a crisp five dollar bill to reload my card. I wish it could’ve been more, but when you’re a freelance writer, you budget according to the number of articles you’ve been contracted for. Of course, they cheerily voided the transaction, and handed me the receipts to keep as a novelty. We both had a good chuckle. I know I usually post inspirational pieces, but I’ll make an exception today.